2 Bdrm Terraced Dwellhouse. Ground flr: Living rm/Kitch on open plan. Bathrm. 1st flr: Bdrm. Nursery/Study/Bdrm (CT band - C). Garden. Parking. Price over £145,000 Entry by arr. Viewing contact solicitors. (EPC band - C). 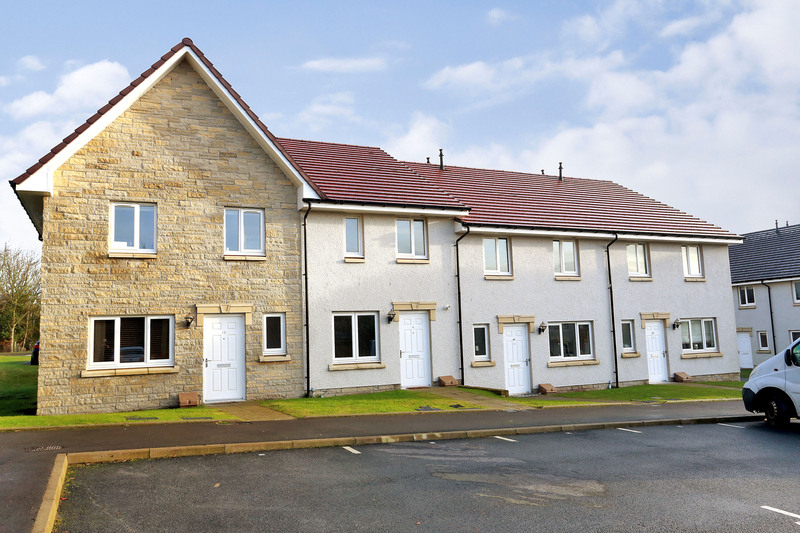 Situated in a popular residential development by Stewart Milne Homes, one of Scotland's foremost Developers, this MID TERRACED DWELLINGHOUSE occupies a good position within the modern development. 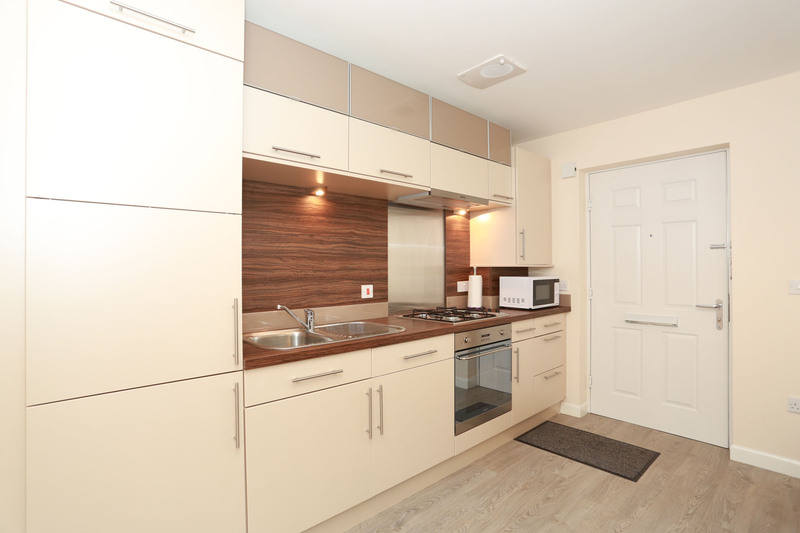 The property spans 2 floors and has been finished to a high standard which affords the opportunity to move in with the minimum of inconvenience. 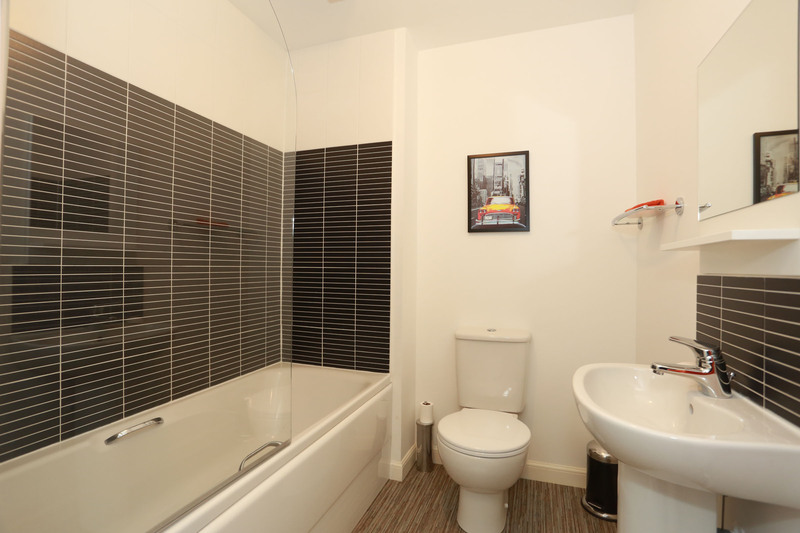 Amongst its features the property enjoys the benefits of gas central heating and double glazing. 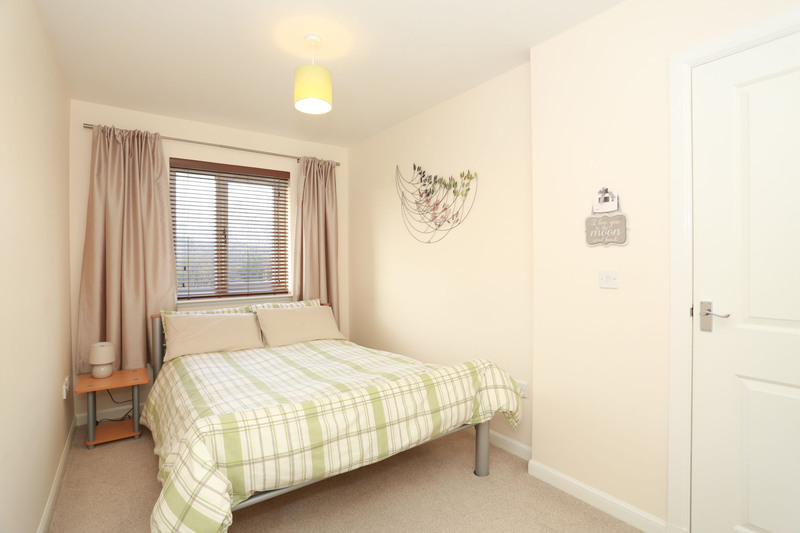 The accommodation comprises: open plan living room and kitchen; bathroom with overbath shower; upper floor: double bedroom; nursery room/study; storage loft. A residents’ car park to the front provides parking there is an allocated parking space, a bicycle shed is also located at the front of the house. All fitted flooring, light fittings, blinds and curtains will be included in the sale. 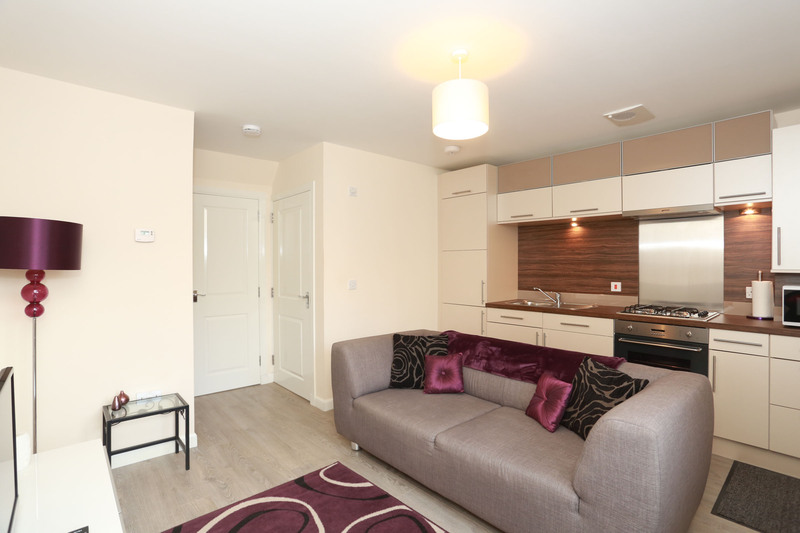 location: Kingswells is only some 10 minutes drive from Aberdeen City centre, therefore, ideal for those working in and around the City. A park and ride service operates from Kingswells to facilitate access. Kingswells primary school and community centre are nearby and a small selection of local shops serve the area with more to be found at Westhill, and Bucksburn. 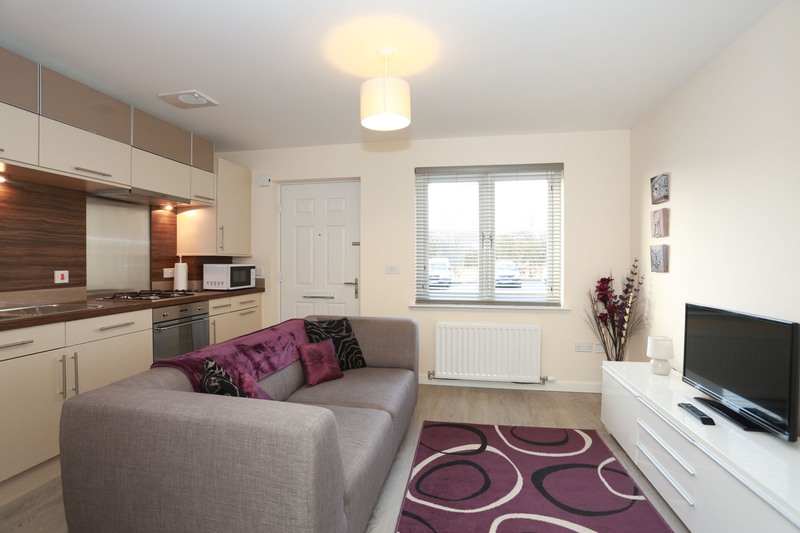 The house is also ideally situated for the business parks in Kingswells and Westhill. directions: From the west end of Union Street continue onto Alford Place, Albyn Place and Queen's Road; travel straight ahead onto the A944 Aberdeen-Alford Road. At the Kingswells roundabout take the last exit and turn right at the traffic lights onto Kingswood Drive and then right again into Bellfield View, follow the road to the bottom of the development. open plan living room and kitchen: 13’8x11’ (4.16mx3.35m) Spacious open plan layout comprising a bright living area and a well equipped kitchen. The living area has a double window fitted with a wooden ‘Venetian’ blind to the front of the house; carpeted staircase leads to the upper floor; built in storage cupboard. The stylish kitchen is fitted with an excellent range of modern base and wall mounted cabinets linked by coordinated work surfaces, upstands and splashback boards; stainless steel splashback behind the gas hob; built in oven; cupboard houses the central heating boiler; integrated fridge/ freezer and washing machine; stainless steel sink and drainer with a mixer tap; 2 pendant light fittings; laminate flooring; radiator. bathroom: Most attractive bathroom fitted with a modern white three piece suite complete with an overbath mixer shower and glass shower screen; coordinated ceramic wall tiles behind bath; wall mirror and shelf; pendant light fitting; glass and chrome fittings; extractor fan; vinyl flooring; radiator. 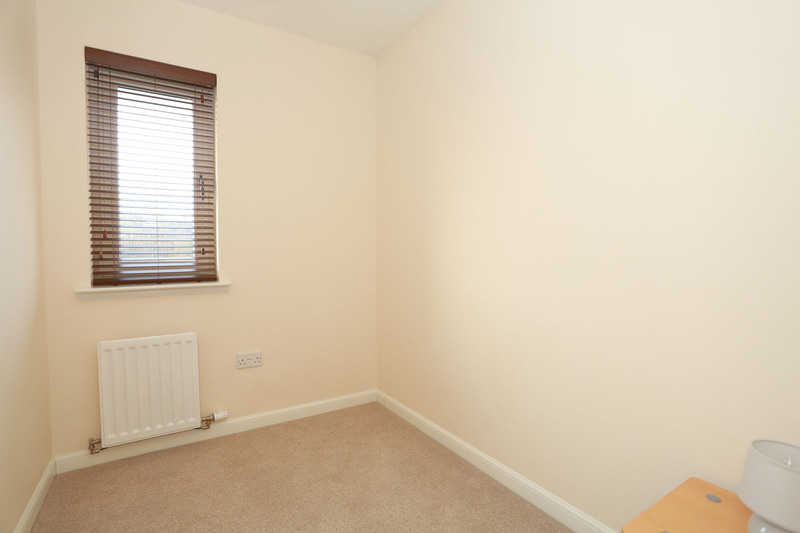 upper floor: Built in storage cupboard; loft access; pendant light fitting; fitted carpet; radiator. 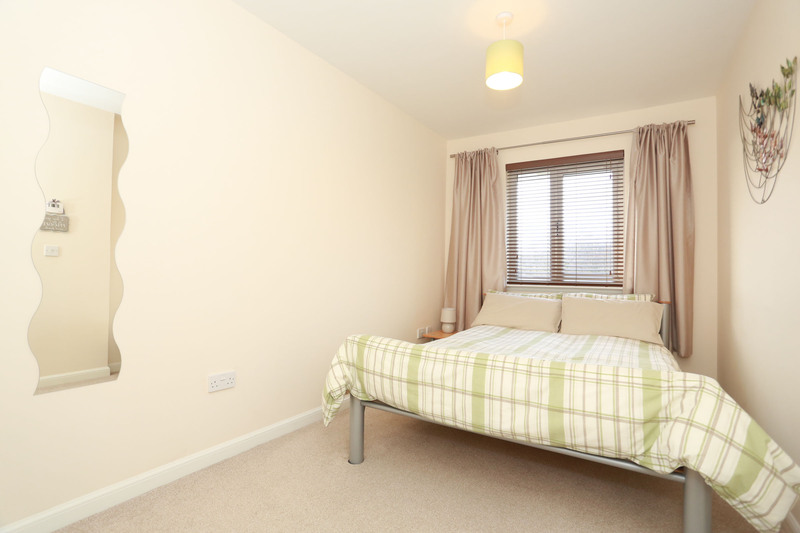 bedroom: 13’x7’7 (3.96mx2.31m) Well appointed double bedroom with a front aspect; window fitted with a wooden ‘Venetian’ blind; walk in wardrobe provides excellent hanging and storage space; pendant light fitting; fitted carpet; television point; telephone point; radiator. nursery room/study: 7’8x5’10 (2.33mx1.77m) Single bedroom with a front aspect; window fitted with a wooden ‘Venetian’ blind; pendant light fitting; fitted carpet; radiator. loft: The storage loft is accessed from the upper floor. outside and parking: There is a garden to the front of the house laid to grass; communal bicycle store; residents’ car parking area with allocated car parking space.